Opening day of youth baseball is a Big Deal in Homewood and Flossmoor. The ceremonies and celebrations to launch a new season are comparable to festivals that bring out the community. In this case, the crowds come to cheer on our young athletes. The events — April 20 in Homewood and April 27 in Flossmoor — will begin with parades of teams marching through each village to show off their fine new uniforms and enthusiasm for the game. The two villages follow similar scripts on opening day: parades, first pitch ceremonies, recognitions, awards, brief speeches and then the games get under way. There are differences, though, evident to the connoisseur. The parades, for instance, have distinct charms. In short, Homewood’s is bigger; Flossmoor’s is louder. The Flossmoor parade is always a great display of spirit — at high volume. The teams showing the most spirit get prizes, and the setting is perfect for such a competition. 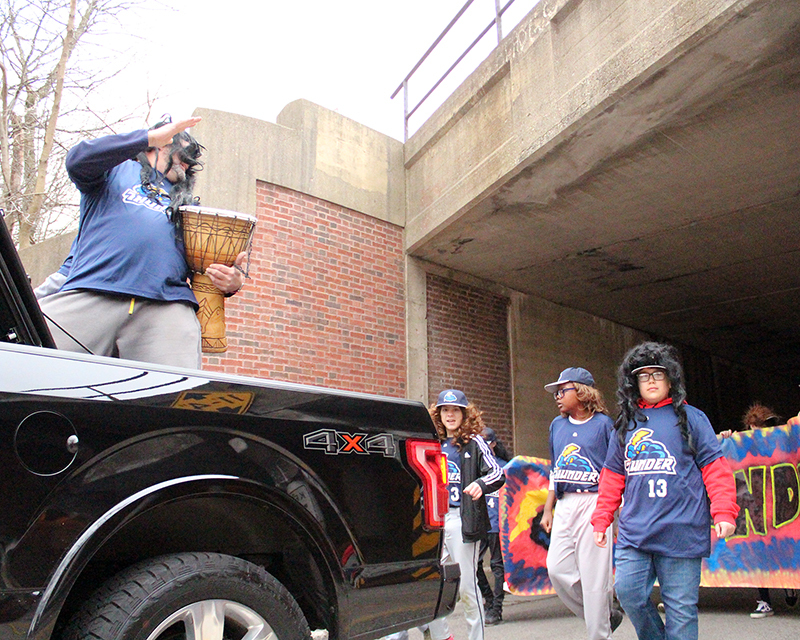 Teams march through the Flossmoor Road viaduct just east of Sterling Avenue. You will not find a better bullhorn for cheering kids. They make the most of it. The volume at the viaduct can hit some impressive decibels. Perhaps in consideration of the impact on the judges’ hearing, the reviewing station is situated two blocks down the street. Homewood’s parade tends to bring more people out, with crowds lining Ridge Road for most of the mile-long route. But it has another defining characteristic: candy. Just about every player and coach and volunteer on every team starts the parade with a big bag of candy in hand. Teams often have wagons to carry their inventory. All along the mile-long route, teams lavish the crowd with all manner of treats. There is so much candy flying through the air that the local newspaper photographer has been tempted to use an umbrella. In places there is so much candy on the streets that kids in the crowd can’t harvest it all, and Ridge Road appears to be paved with sweetness. 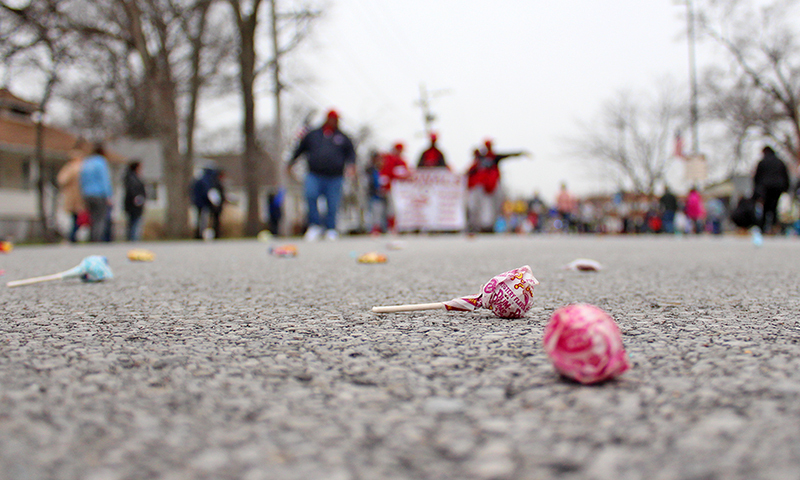 While it’s obvious that candy distribution is a common feature of parades, you might wonder what candy has to do with baseball. All along the route, enterprising youth set up boxes and tubs and bags, often with a bull’s eye target or cardboard backboard of some sort to attract the attention of young hurlers. Ball players cannot resist these targets. As a result, the entrepreneurs bring in large quantities of slightly dented candy, and the ball players arrive at the field with arms warmed up, ready to play. This is an early heads-up on a new event in Flossmoor because some folks might want to start training now. Flossmoor will hold a new half-marathon race on Sept. 7, the morning of Flossmoor Fest. The Hidden Gem Half-Marathon will be an opportunity to discover the charming neighborhoods and extraordinary architecture Flossmoor has to offer. 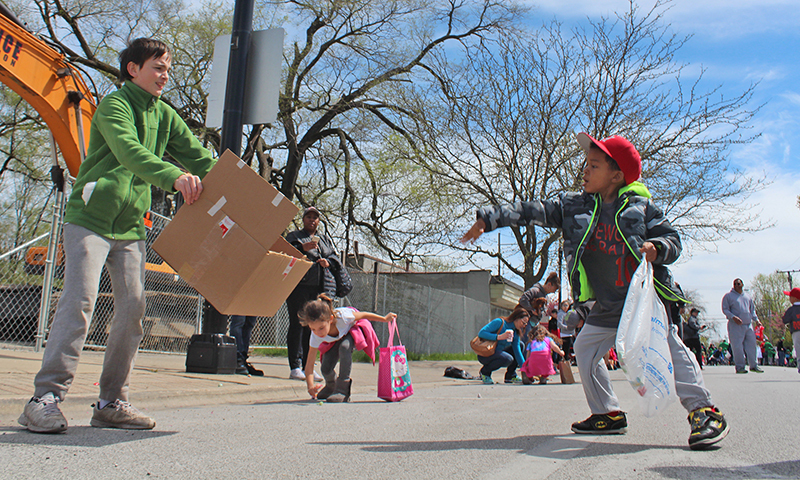 The Flossmoor Green Commission will be sponsoring its big communitywide recycling event from 10 a.m. to 1 p.m. on Saturday, May 4, in the Parker Junior High School parking lot. This annual event gives everyone a chance to dispose of excess stuff dredged up during spring cleaning in the greenest way possible. Homewood arborist Bryon Doerr has sounded warnings about the condition of local tree populations. He and other arborists in the area are working to compensate for the rapid deterioration of aging trees. Tree share programs are one tool they use. The deadline has passed for Flossmoor’s spring tree share program, but Homewood will be taking orders from April 1 to 27. Residents can purchase up to two trees at a 50 percent discount. The cost per tree ranges from $11 to $70, depending on the species. The trees offered this year are selected for their fit with the local weather and soil conditions. Most of the eight species are native trees that are well adapted to thrive here. Doerr said he was delighted to see participation in the tree share program increase dramatically last year, and he is hoping the trend continues. It’s one way residents can help keep the community green and enjoy the benefits of a healthy, diverse urban forest. The form to register for the program can be picked up at village hall, 2020 Chestnut Road, or downloaded from the village website at bit.ly/2QUnJkM.